The story is riveting and legendary: At a time when segregation ruled American life, a sports ?experiment? changed history. Did Jackie Robinson have enough talent, courage, and tolerance to break the color line in major league baseball? The world watched as Robinson signed his contract with the Brooklyn Dodgers. Racist taunts and jeers exploded from the stands, but Robinson kept his focus on the game. For the rest of his life, Robinson continued to speak out for equality and civil rights. 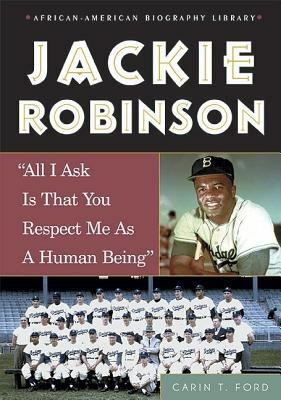 Crossing the color barrier in baseball was just the first step.Ford, Carin T. is the author of 'Jackie Robinson all I Ask Is That You Respect Me as a Human Being', published 2005 under ISBN 9780766024618 and ISBN 076602461X.